Puchong, 11 Feb: Good news is a rare commodity these days. 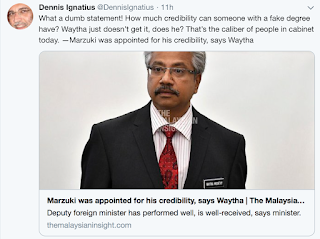 Entertaining (not entertainment) news melambak - just read up on our politicians and their academic qualifications, Cabinet Minister's dumb statements, etc. 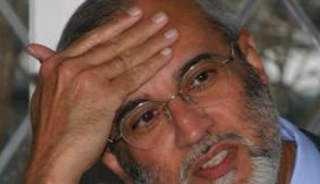 No wonder the former ambassador Dennis Ignatius, in his twitter profile picture below, is slapping his forehead! So when you get news like "Proton delivers 1000 units X70 in single day", we ought to feel good, right? And most of us do. 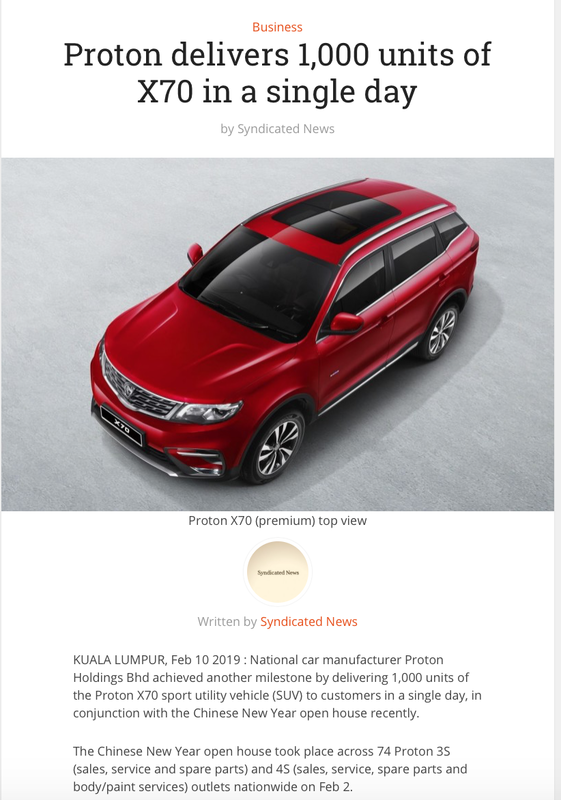 I, supporter of Proton since the idea of the first national car was mooted, am happy that the company is selling cars - the X70 particularly - despite the inclement economic weather. Also because Perodua (the 2nd national car) has launched its (much cheaper) SUV and if you know the history of their rivalry then you'd know that when the two national car companies collide, the same one has always ended up bruised and battered. So it's really, really nice to know that Perodua's Aruz is also doing quite well and that the two are not going to eat each other up this time (Toyota Aruz will cannibalise Toyota Rush's market share). Not everyone is impressed, though. Former assemblyman Lee Hwa Beng may be one of them. But I'm not slapping my forehead. As I see it, the YB is trying to be constructive in his own way. He's in effect raising a valid concern: are our local players ready to keep up with the higher benchmark set by the new Proton management? If the local players are not ready and, worse, if we continue to defend them (because they are Malaysians and they need more time and yet another chance, etc), quality will suffer and the national car's image will be dragged through mud again. 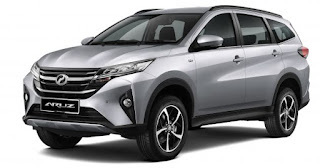 It is unfortunate the same people who were baying for blood and saying PROTON's own home grown products were not good enough are now also complaining they're selling out by offering a vehicle from it's Chinese partner's range. Seriously. What do they want? 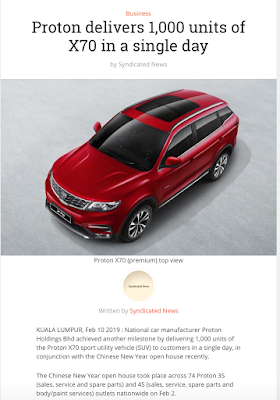 Perhaps the YB should ask himself, who is losing out by PROTON importing the X70. And then maybe he can read the news about how the company is investing RM1.2B (that's a big B for Billion) to build its new plant in Tanjong Malim to build the X70 and future co-developed products in Malaysia. 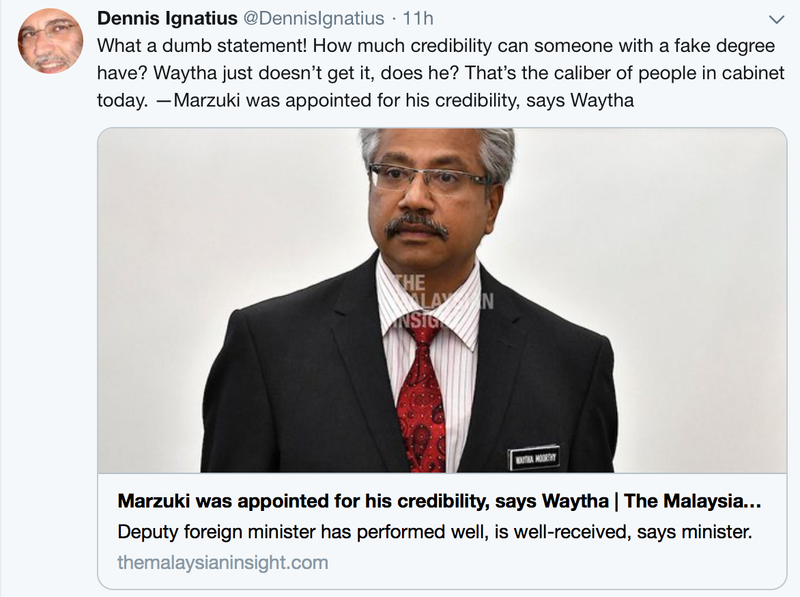 If that isn't good enough, maybe he should ask his colleagues in Tanjong Malim and Perak about how many Malaysian vendors have been match-made with Chinese vendors to set up new joint venture companies to supply not just PROTON but possibly Geely too in the future. If all that is too much, maybe he can just visit a new PROTON 3S/4S outlet. There are now 74 of them (more than any other OEM) with more coming this year and all of them are owned by Malaysians investing their own money in a Malaysian business. So tell me again YB. What is the negative connotation of the Proton X70 coming from China?